Are you ready to learn how to make a project that's as versatile as it is sentimental? 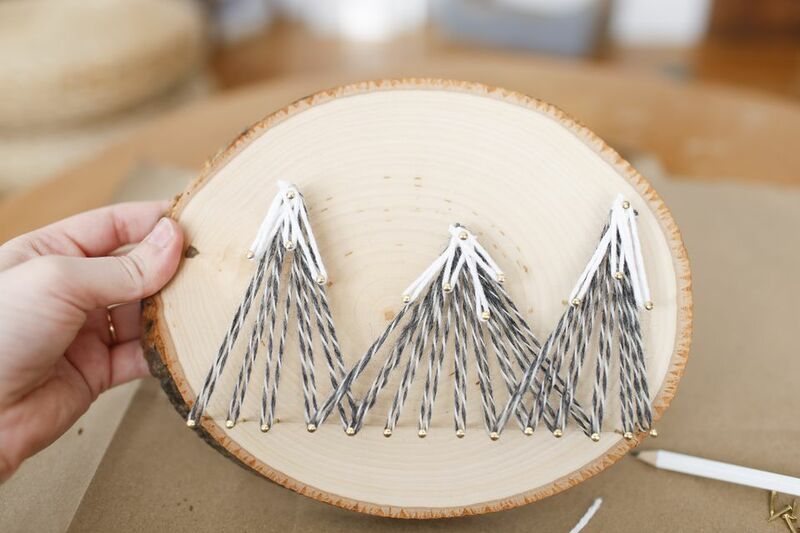 This easy mountain string art pattern is a cool art piece for your own living room but it makes a wonderful gift, too. While we kept the shapes simple here you can customize your project using the same techniques to create anything you'd like! Maybe it's meaningful—mountains in the state where you fell for your significant other, or the shape of your favorite pet. Or maybe it's more whimsy and fun, like string art cactus. The sky's the limit, so don't be afraid to really stretch the personal angle on this project. While you don't need much in the way of supplies, that doesn't mean you should skimp on the details—they can really elevate this project. For the nails, using a pretty gold finishing nail will help your project looks its best. The warm metallic is a trendy touch. Also, to keep the color of the yarn from falling flat, instead of using one color, try a gradient yarn. It makes you look like a master crafter without all the hard work by featuring beautiful complementary colors all in one skein of yard. Drive your finishing nails right into your wood plaque. 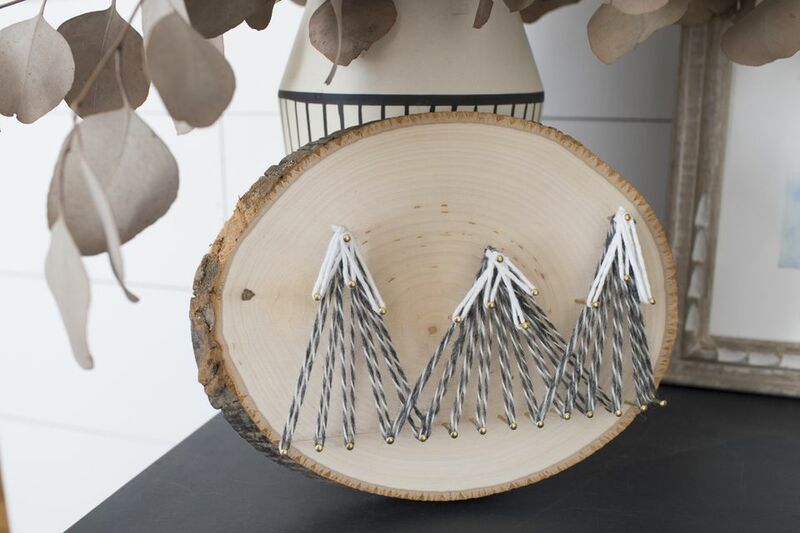 Keep the nails evenly spaced on the bottom of the wood plaque and and then do a few nails to form the peak of the mountains higher up. You don't need to drive them all the way in, but just about halfway, so they're secure and really stuck into your wood but there's still plenty of room to wrap the string around them. Wind the yarn from the peak of your mountain to the nails below to make your triangle shape. The mountains can overlap, so each nail can be used for more than one shape. To make it easier, you'll want to keep the strings close to the base to start. Once those first triangles are formed, you'll want to create the peak. Hammer in a few more nails at the top of each mountain and wind the white yarn around the top. Here's the most exciting part: Using a pencil or just your fingers, lift the yarn up so it's standing out against the wood piece. The beauty of this project, is that there aren't really rules, so don't stress too much about your technique. Go both vertically and horizontally across the board—just do what looks best to you. The yarn layer can be as minimal or over-the-top as you'd like. This project can be a fun keepsake or gift, but enjoy the process! You won't believe how easy it is and once you make one string art project, you'll want to make more!